​Mastodon: Track "Toe To Toes", video "Steambreather" and cameo on "Game of Thrones"
The American stoner rockers Mastodon presented a new video for the song "Steambreather", taken from their latest full-length album "Emperor of Sand". Also, the musicians have recently released the track "Toe to Toes", which will appear on their new EP "Cold Cold Place". The EP release is scheduled for September 22 this year. You can listen to "Toe To Toes" at the bottom of the page. In addition to music news, Mastodon once again pleased fans with their participation in the series "Game of Thrones". The rockers, who had previously appeared in a well-known TV project, once again performed episodic roles in the last episode of the 7th season. 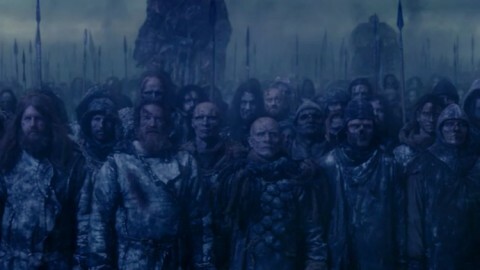 In addition to participating in "Game of Thrones" filming, Mastodon have also wrote for the series a soundtrack called "White Walkers".